The Internet has not only changed how people work and run home businesses, it has created entirely new income options. It has made working from home easier and more affordable. That's not to say that internet-based income is automatic or doesn't require work. Instead, it provides opportunities and tools that, if used correctly, can have anyone making a good income from home. If you can string words together, there are a host of income options available to you. Starting an online business using words is one of the quickest and most affordable ways to start making money online. It doesn't require much equipment, and you can get started right away. Freelance Writer: Businesses are paying writers to create articles, reports, books, ads, sales letters, emails, and blog posts. You can find these jobs on freelance and writing sites. Or you can start a freelance writing business, which gives you greater control over what you charge and the project you take on. Another option is to freelance write for online magazines. Writing for online magazines works much in the same way as writing for print magazines in that you need to pitch article ideas to the editor to get hired. These writing gigs pay a little more per article than on-going writing contracts, but they’re one-off assignments so you’ll need to develop a system of regularly pitching ideas to multiple online magazines to make steady income. Blogger: Blogging is another great way to turn your words into income. The fun part of blogging is that you can choose any topic you want as long as it’s something other people want to read about. You can turn your hobby, passion, or a success story into a blog (i.e. how you paid off debt or lost weight). The key to success with blogging is to write great content and generate traffic to your site. Infopreneur (ebooks, courses, etc): Finally, you can create information products, often called infoproducts. Information products come in a variety of formats including ebooks, manuals, home digital courses, and more. You can create and sell these products from your own website, or, in the case of books, you can self-publish and distribute through Amazon and other ebook retailers. Affiliate marketing is a fantastic way to make money online, but many people struggle because it’s not well understood. The basics of affiliate marketing is that you get paid to promote other businesses’ products and services. Success in affiliate marketing, as in any business, is in choosing great affiliates and marketing. People can't use your affiliate links if they don't see them. Most successful affiliate marketers use a website or blog along with an email list to provide information and promote products in a specific niche. It's important that you can confidently recommend the products you promote. If your followers have a bad experience with a product you recommend, they won't trust your judgement. Offering your skills, similar to writing, is a fast and affordable way to start a home-based business. If you choose a skill you already know and have the tools to do it, the only thing you have to do is set up your business and find clients. Some in-demand service-based businesses include virtual assistant, web designer, social media manager, and freelance writer. Overall, business-to-business services tend to offer more stability, but you can offer services to consumers (B2C) such as handyman, home cleaning, tutoring, and more. You can offer your service in a full-business capacity, or test your idea as a freelancer. Like other home businesses, marketing is crucial to finding clients. If you do a good job, you can create a steady stream of clients without much or effort through referrals. The success of Amazon.com and eBay indicate that people do a significant amount of shopping online. You can take advantage of this by opening your own online store. Options include selling your home-made items, finding used items to sell, or using wholesalers who will provide you with products that you can resale for profit. Many will even dropship, in which they'll package and ship the product for you. You can sell your wares through other sources, such as eBay or Etsy. In fact, Fulfillment by Amazon allows you ship all your items to Amazon, who will then store them, and then pack and ship them when they sell from the Amazon store. You can also create your own storefront website. Because Amazon and other places don't require exclusivity, you can sell in as many ways and places as you want. People go online to find information or support and are willing to pay for products or services that provide what they need. Virtual tutoring and coaching are expanding fields. Consulting and training are also in-demand services that can be provided virtually. You can provide your expertise through an online course, blog, or through a video cast on YouTube and get paid through advertising and affiliate products. Many experts use a combination of coaching/consulting, courses, speaking, and books to create multiple streams of income. The Internet has everything you need to create a home-based income. 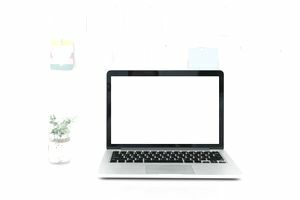 You can find virtual work or create your own online business, as well as find a host of free and low-cost web-based tools and resources to make it happen. While nothing will work overnight or run itself, working online can be simple and straightforward. All you need is your imagination, desire, and the willingness to do the work.